The annual meeting elected nine regular and one deputy as members of the board. Chairman Henric Åsklund, Vice chairman Claus Berntsen, secretary Jesper Wasling, treasurer Lennart Wasling and members Marko Aarosilta, Stefan Bede, Magnus Bäckmark, Marcus Karlsson and Martin Trägen as well as deputy Pontus Hedberg. Other positions of trust will be appointed by the board. During the year the board have had five meetings. As the board is represented by members across the country the meetings has taken place via Skype. Accountants for the year of 2014 were Kenneth Wulcan and Ingemar Apelstig together with deputy accountant Martin Sunnqvist. The annual meeting appointed Jens Chrisian Berlin, Martin Sunnqvist (convener) and Alexander Ulltjärn to the Nomination Committee. During 2014 the number of members was 395 main members and 70 family members, 465 in total. Of the main members two is permanent and 8 is various organizations and other bodies. Vapenbilden was published four times during the year, numbers 97-100, all of which was printed in full colour and 32 pages except for issue 100 which was 48 pages. 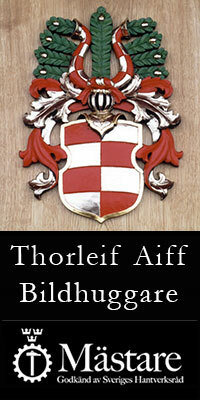 In total 144 pages of which 16 were intended for Notices from Svenska Vapenkollegiet (SVK), The Swedish College of Arms. The last issue for the year of 2014 were the hundredth issue since 1976. Therefor it was an extra thick anniversary issue were the history of the magazine was presented. A new and updated design was also introduced. Jesper Wasling was the editor and editorial staff members Marcus Karlsson and Magnus Bäckmark. During the year Magnus Bäckmark left his position. On the other hand Vapenbilden was reinforced with two new members; Stefan Bede and Pontus Rosenqvist. Script work for two projects has been going on. The Roll of Arms for SVK and a heraldic dictionary. During the year applying for funds for these projects have begun. The roll of members and arms is published every two years and hence 2014 was a year for collecting arms in order to enter them into The Roll of Arms 2015. We have had large problems with www.heraldik.se during the year. The web page was first upgraded to a newer version of Joomla. However, that resulted in a huge content mess so a new site was published in the WordPress CMS instead. For a while, the new web page had a preliminary layout, but during fall the the fourth version of SHF’s web page was launched instead. 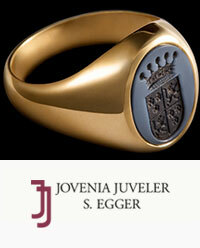 The first site was in place as early as april 1997 and then was updated in 2002 and 2009, respectively. The forum, named Heraldica, have at times been down in conjunction with work related to the web page. Otherwise, activity has been great there. The board decided to make a larger investment and effort in the web page, by employing professionell services to some extent for some parts. This includes a new forum. The database Heraldiska Källan, The Heraldic Fountain, with over 6 000 arms, has during the latter part of 2014 not worked at all. A new application for The Fountain is being built by webbmaster Tomas Bragesjö. Martin Trägen, appointent Webb Editor left his assignment towards the end of 2014 and was replaced by Stefan Bede. Stefan Bede has also been in charge of the Communications Group, responsible for managing the online prescence in social media. At the end of 2014 SHF has 375 followers on Twitter and 472 on Facebook. 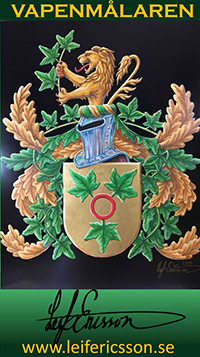 Until december 31, 2014 there were 356 arms in total registered with Svenskt Vapenregister, The Swedish Roll of Arms, of which 46 were new for the year of 2014. 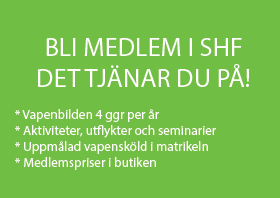 During the year 33 of these were preliminary approved and presented in Meddelanden från Svenska Vapenkollegiet no. 14 and 15 included in Vapenbilden issues 97 and 99. In 2014, the total number of finally approved arms were 31 and these were entered into the rolls which by december 31, 2014 consisted of a total of 270 arms. Claus Berntsen was appointed new member of the Collage, which alongside him consists of the following members; Chairman Martin Sundqvist and Clara Nevéus, Jens Christian Berlin, Eric Bylander, Vladimir A. Sagerlund (representantative for Heraldiska Samfundet, The Heraldic Association) och Jesper Wasling. Co-opted members are Ronny Andersen (Denmark), Wilhelm Brummer (Finland) and Kaare Seeberg Sidselrud (Norway). Is the working group who’s responsibility is to keep record of the arms of the paying members along with other duties of heraldic interest. 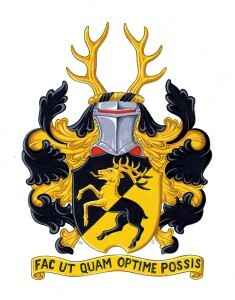 These arms which are published in the online Roll of Arms as well as the printed version are the ones that the members themselves report to us. Due to the problems with the web page the online Roll of Arms has not been updated, nor has it been available during the year. In conjuction with the new profile that was given to Vapenbilden it was also decided that new arms should be presented in every other issue, i.e. 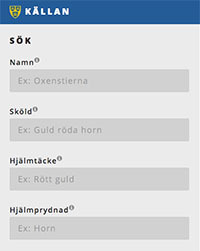 the issues were Meddelanden fån SVK, Messages from SVK, were not entered. This is to ensure that new members should not have to wait too long before the next Roll of Arms is printed and their arms is and displayed to the public. 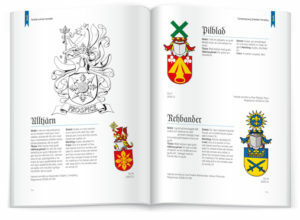 Ten new arms were drawn for enclosure in the 100th issue of Vapenbilden. Martin Trägen acted as herald and all new arms were drawn by Ronny Andersen. Annual meeting was held att Hotel Eggers in Gothenburg were the nailing of the colours (or the flag) continued. We participated in The Medieval Festival in Lund were SHF had a stand together with Socitetas Heraldica Lundensis (SHL). In company with embassies and other nordic heraldic associations, Sweden were represented by SHF at a heraldic exhibition at the town hall of Copenhagen. This exhibition was arranged by The Committee for the Intercommunion of Foreign Compounds. The association interacts with Gothenburg Heraldry Society and SHL regarding meetings and excursions. In the western parts of Sweden an exhibition was attended at The Cultural Museum of Gothenburg. In the city of Lund there were 15 gatherings during the year; nine lunches, two heraldic seminars with dinner, one excursion to an exhibition at Skarhult Castle with subsequent dinner, one dinner with and one without a lecture, as well as a christmas smorgasboard. The seminar on heraldry within The Swedish Freemasons was a joint arrangement with the freemasons in Lund (EOS) that attracted more than 25 participants. The working group for ecclesiastical heraldry with Claus Berntsen leading the way have during 2014 assisted Johan Tyrberg, new bishop of Lund, with assuming arms. The drawing of the Coat of Arms for Antje Jacklén, Archbishop of the diocese of Lund was undertaken as well. 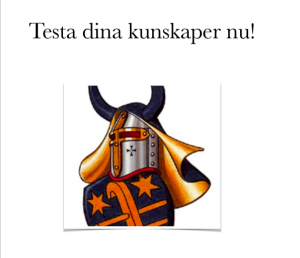 Also, the bishop of Visby, Sven-Bernhard Fast, has approved heraldic denotations to use for ensigning arms for the clergy, black hat with cord entwined in gold and black. The project entitled The Preservation and Digitalization Project of Jan Ranekes’ Archive of Medieval Arms of Europe have progressed and the whole of archive stock C is now scanned and closed. All these records/cards were removed from the deleterious plastic pockets and transferred to specially designed archive boxes. The preparation for the next step, transferring stock B has begun. The project and archive was presented in a lecture at the 31st International Congress of Genealogical and Heraldic Sciences in Oslo. Our library and collection of books is situated in Gothenburg and the archive of board related material in Borås. The part of the archive that is open to members and researchers is available in Gothenburg. The library has been granted donations from the archives of von Warnstedt. It consists of a great number of pamphlets. An inventory of the library has been conducted and it is now possible to borrow from it by mail. At no expense. At the board meeting of november 24, 2013 two medalists for 2014 were elected. Hans Cappelen and Johanna Hellström. They were rewarded for their efforts both as active members of societies as well as their academical and theoretical works. Mainly due to our lowered printing costs of Vapenbilden we have managed to strengthen our financial status during the year. SVK has received a substantial amount of examination fees during the financial year of 2014 compared to 2013, 44 to 26 as well as lowered costs. New this year is that the board has set up a project fund where means intended for future costs for various larger projects will be allocated for coming years. Approximately half of the surplus, where 2014 is represented of the remainder of granted funds for the Raneke Project and the rest will be earmarked for the coming writing series projects.